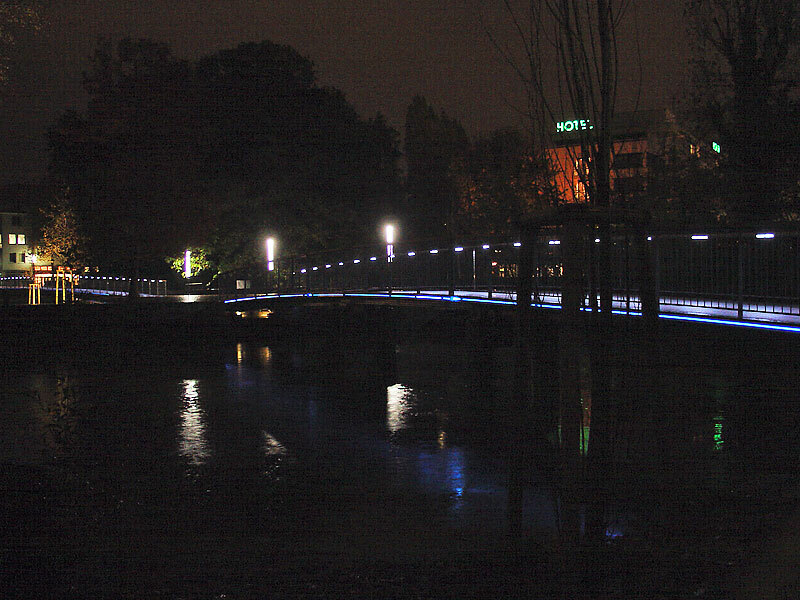 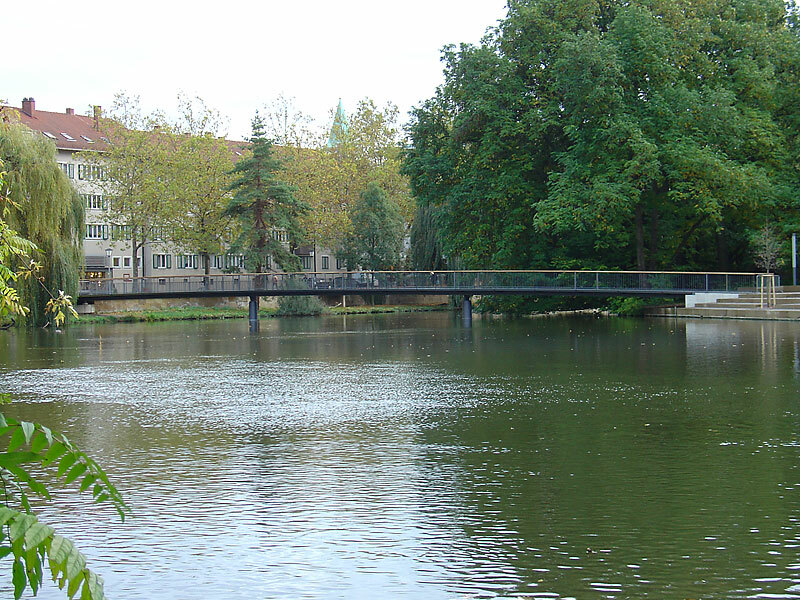 Footbridge overcrossing the river Altneckar in Heilbronn. 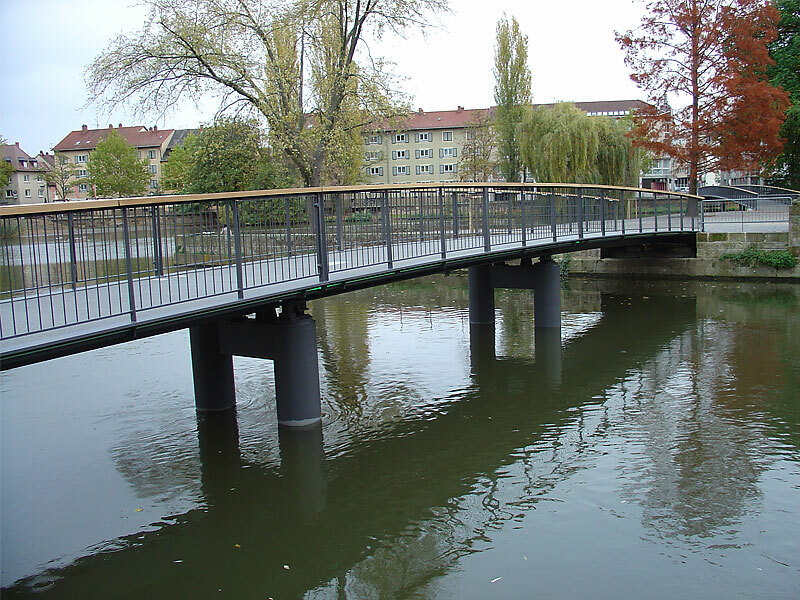 The structure consist of two separate bridges with a total length of 52 m and 33,2 m respectively. 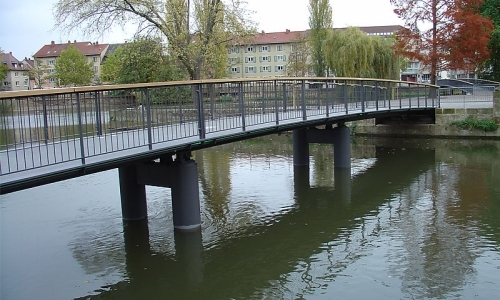 The effective width is 3,0 m and the maximum single spans of the bridges are 18,0 m and 12,1 m respectively. 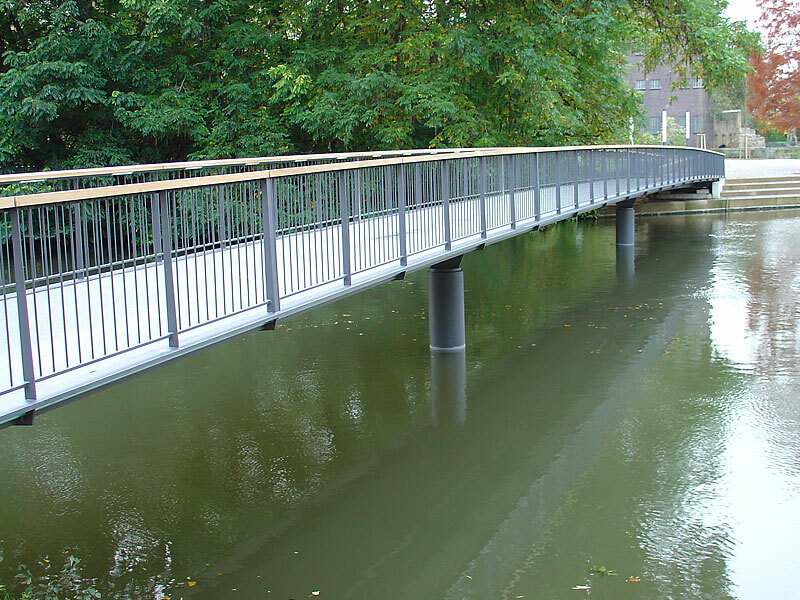 One of the bridges consists of a movable mid span (9 m) which allows for boat traffic.